1. Heat oven to 350 degrees. Place tortillas on baking sheet and heat for 15 minutes or until it gets crispy & the outside curls up a little. 3. Slice avocados, chop tomatoes & chop cilantro. 4. Heat olive oil in a pan & fry eggs sunny side up. 5. 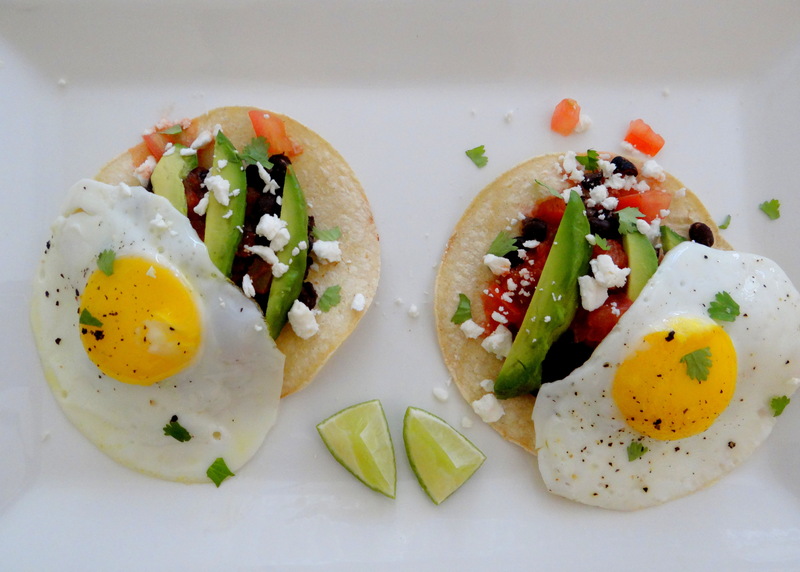 To assemble the Huevos Rancheros, place the baked tortilla on the bottom. Spread beans on tortilla, add a spoonful or two of salsa on top. Add avocado, tomatoes and place an egg on top. Finish with a sprinkle of feta cheese & cilantro. You can add any more of these ingredients to your liking. After scrolling through just a few of your recipe posts, I think I can safely say we have the same taste in food!